Kick off to Speak Up 2014! Speak Up 2014 is now open! This year’s Speak Up annual surveys continue to pave new ground in education technology research by polling K-12 students, educators, administrators and parents about the use of mobile devices, online classes, games and digital content within learning. We listened to last year’s participants and have added new topics to our surveys to spark more conversation, such as Bring Your Own Device (BYOD), data privacy, student interest in programming and computing, and online assessments. ▪ Announcing the Speak Up Loud and Clear leading schools: We are proud to announce our leading schools from our Speak Up 2013 survey period! ▪ Promotional materials: Help spread the word about Speak Up with our list of promotional materials. Happy reading, and remember to Speak Up now through December 19th! Feel free to share your thoughts with us on Facebook, Twitter, and our Blog. To learn more about the project and how to get involved, visit www.tomorrow.org/speakup. With the launch of Speak Up 2014, we would like to take this time to recognize the schools and districts that went above and beyond in their promotion and encouragement of participation to their students, parents and educators during last year’s Speak Up surveys! Thank you for making last year’s surveys such a success! 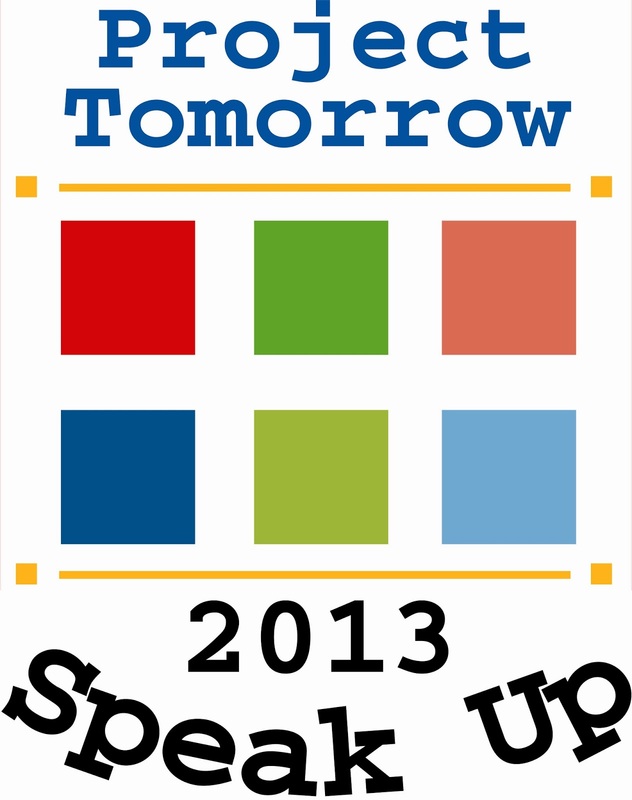 For a complete list of the top school and districts, visit http://www.tomorrow.org/speakup/speakup-loud-clear.html. Get a look at this year’s survey questions! We’ve made our survey questions available to view before Speak Up launches on October 6th. Click here to view the surveys, and be on the lookout for new topics and questions! 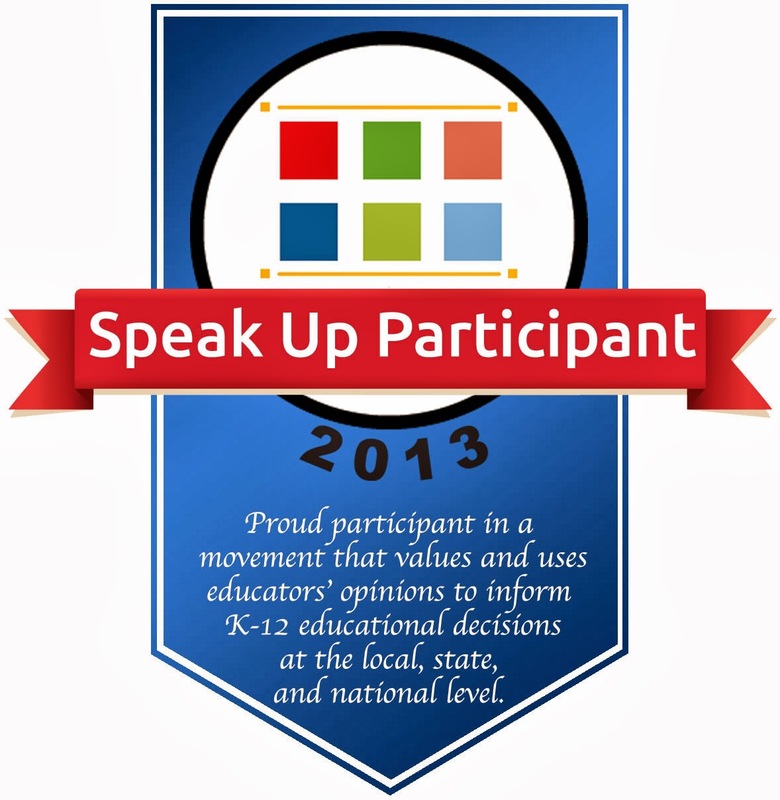 Speak Up has a new participant badge! Wear this badge proudly as you display it on your website, your e-mails, your social media sites, blog, and more! Enjoy, and remember to get the rest of your community to Speak Up through December 19th, 2014! Start spreading the word about Speak Up to your community! Check out our helpful flyers, guides, sample emails, and more at http://www.tomorrow.org/speakup/promo.html. This entry was posted in Speak Up and tagged participant badge, promotional materials, Speak Up, speak up 2014, Speak Up Loud and Clear, Speak Up surveys, Surveys on October 6, 2014 by project_tomorrow.